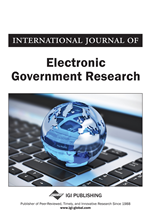 This article evaluates the current practice of digital government in large municipalities worldwide. The study assesses 84 cities from around the world that use a five-stage e-government framework. Our research and methodology goes beyond previous research by utilizing 92 measures that were translated into the native language of each city. In addition, the assessment of each municipal web site was conducted by a native speaker of the municipality’s language between June and October of 2003. We reviewed relevant e-government literature for evaluating Web sites nationally and internationally, and discussed our sample selection, methodology, theoretical framework, findings, and recommendations. Our results indicate that Seoul, Hong Kong, Singapore, New York, and Shanghai are the top five large cities for providing digital government opportunities to citizens online. Our research also suggests a difference in the digital government capabilities among the 30 developed nations belonging to the Organization for Economic Cooperation and Development (OECD) and lesser developed (non-OECD) nations.